Most new mappers, when they (half) finish their first work, like to put it out there as soon as possible where people can see it. A few others wait a LONG time until they are confident about their skills and actually satisfied with their product. 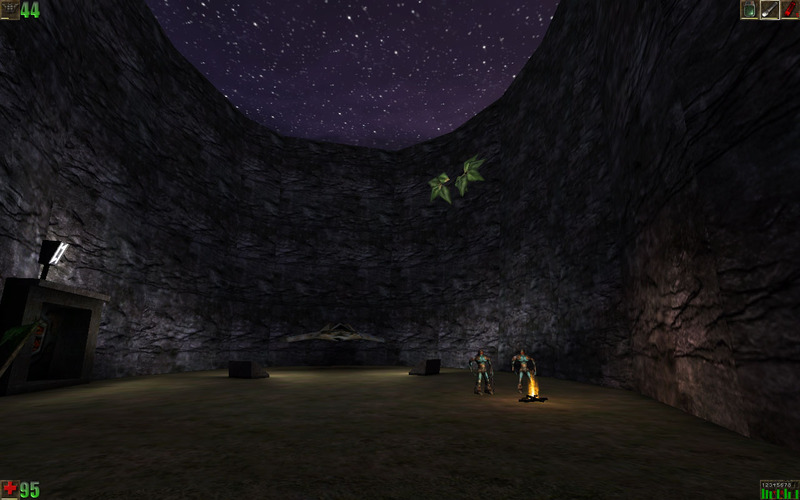 With his debut SP map Tashara’s Cove, Hellscrag seems to belong to the second group. Most mappers would have been happy if their first SP release was half this good. That said, Tashara’s Cove is not a perfect campaign, of course. 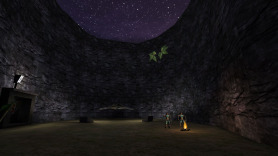 But even when ignoring the fact that it is a first release, it is a very decent three-map single player experience topped with an outro, with nice visuals in classic Unreal style, a Chizra-type middle map which is every bit as good as that in the original Unreal and well written translator messages that make the basic escape-from-Na-Pali story work. The author even prevented the serious back-tracking on the second map from being boring with well timed monster spawns and other changes in the environment. Overall Tashara’s cove lacks the gameplay awe the best map packs have to offer but it is a very nice campaign to play and a damn good one for a debut campaign. 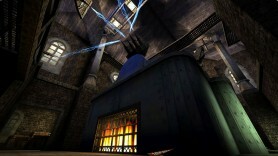 Playing it is an absolute must for Unreal SP fans. Works in UT only. 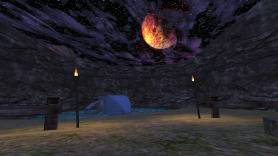 Like Hellscrag’s other early readme files, this one doesn’t contain a release date either, but from the last modified dates we are pretty confident that the map pack was released on the 8th of February, 2001. P.s. : Our CMS seems to like this pack too as it happened to assign post ID 1337 to it. This is the auto-generated forum topic dedicated to Tashara’s Cove.